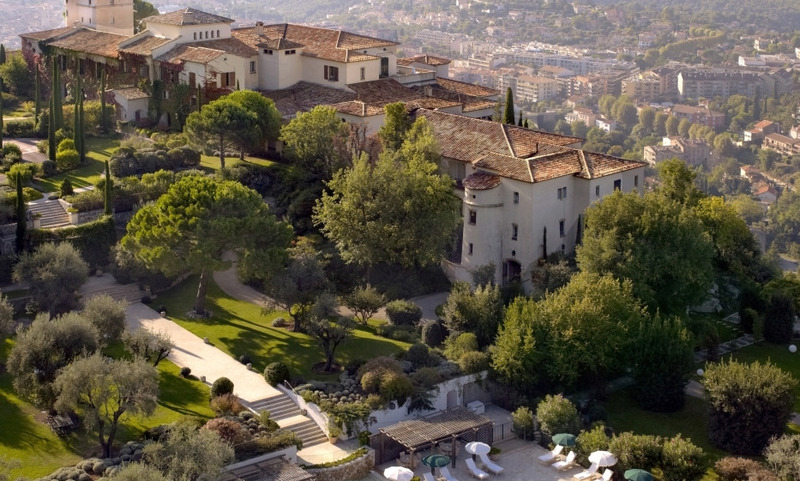 Located 15 km from Nice Airport, Château Saint-Martin & Spa overlooks the typical Provencal village of Vence. Built on the ruins of an ancient Knight’s Templar, this 5-star hotel combines the soul of Provence to the prestige of the Riviera. Enjoy any of the three restaurants including one gastronomic restaurant (Michelin starred) and an outside grill. Relax and recover at the 400 m² Spa with La Prairie signature treatment, hairstylist and make-up artist. Try the wine tasting room in the tower of the castle and wine cellar carved into the rock for exclusive wine tastings. When you are booking a villa more than 5 nights, we are offering you a complimentary roundtrip airport transfer. I’ve been visiting the Chateau for 20 years and I love it - it is surely one of the very best, nicest hotels in the world , if you want a peaceful and beautiful relaxing stay. I will surely go there next year again. Timeless luxury. Perfect service, superb cuisine &amp; fabulous team. My favorite home away from home. Timeless French luxury at its best . Amazing personal service . Truly a home away from home . It was a wonderful stay in a little slice of paradise! Perfect service and amazing facilities. Great benefits by booking with grand Luxury.It was my third stay in two years and I can't wait to return . Beautiful hotel in a stunning setting and offering exceptional service. A great experience. Fast and proactive service when it comes to solving any issues. Highly recommended. Fantastic property. Great service and location . Timeless French luxury.